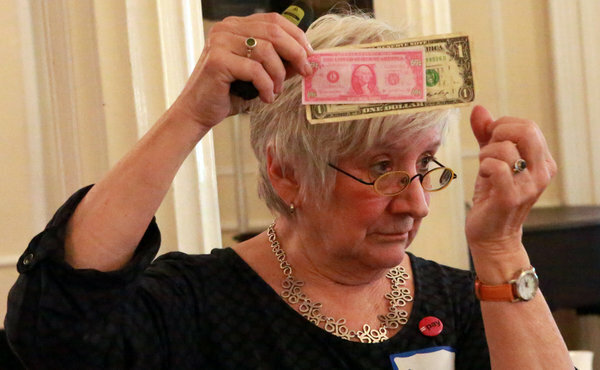 Annie Houle of AAUW uses $1 bills and play money to show men’s pay advantage over different groups of women. Her program teaches women how to negotiate for better salaries. Did you see the article on the wage gap on the the front page of the business section of the NYTimes yesterday? Empire offered our first workshop; more will follow. If you haven’t read the article, take a look; the article, read it here. This entry was posted in Public Policy and tagged Gender pay gap on December 17, 2012 by wahtera.